Despite the years that have passed since his untimely death in 1990, Stevie Ray Vaughan remains one of the most revered guitarists in the electric blues canon, and as this video performance of Lenny illustrates, with good reason. SRV reached the dizzy heights of number five in Guitarist magazine's rundown of the 50 greatest guitar tones of all time, and here Guitarist Editor Mick Taylor shows you how to set up your gear to sound just like Stevie Ray. 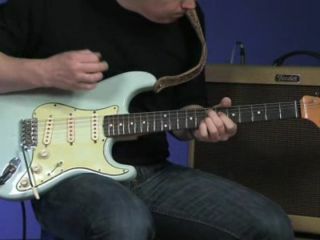 It's not all about the gear though, so be sure to check out this MusicRadar video lesson - how to play blues like Stevie Ray Vaughan.